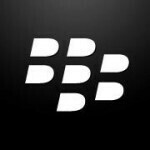 With BlackBerry set to announce its fiscal first quarter earnings report next week, Bernstein analyst Pierre Ferragu has cut his rating on the shares of the Canadian manufacturer to "underperform", resulting in a 4.6% drop in the price of the stock on Wednesday. While a pair of analysts last week both said that they expect BlackBerry to have shipped more phones than expected in the prior quarter, Ferragu sees disappointing results coming from the announcement. In a note to clients, Ferragu said, "The initial enthusiasm that we observed for Blackberry 10 devices now appears to be waning," and cut his target on the stock to $10 from $15. BlackBerry has introduced three BlackBerry 10 models this year with another 3 to 4 expected before the end of the year. BlackBerry has been guarded about how well the all-touch BlackBerry Z10 and the QWERTY equipped BlackBerry Q10 have fared in the market, so the earnings report is expected to be closely watched by both Wall Street analysts and industry players. As of mid-day Wednesday, BlackBerry shares were trading at $14.16, down 68 cents on the day. Last September, the stock traded as low as $6.22. Can't trust news aka trash anymore. One day, it's doing great. Next day, it's doing terrible. Huh? Only hard numbers like revenue, profit, etc tell the truth. Damn it you were so fast..
"Can't trust news aka trash anymore. One day, it's doing great. Next day, it's doing terrible. Huh?" I think that BlackBerry was spreading propaganda to artificially increase confidence in BlackBerry. Not like North Korea, but still propaganda. P.S. Propaganda exist not only in North Korea. One day Blackberry is booming, the next day it's screwed, then booming again, then screwed....My head is spinning. i hope blackberry can step it up and continue to improve their bb10 os. I'd really love to give it a try if only Sprint would carry them (and windows phone)... dang it sprint! That's too bad. But maybe they just have to launch more devices to keep the buzz. That's why Samsung, Sony, LG keep on launching so many models almost every month.